ADDIS ABABA, Feb 25 (Reuters) - Ethiopian tax-free exports to the United States more than doubled to $18 million last year from $8.9 million in 2007, the U.S. Agency for International Development (USAID) said on Wednesday. "Ethiopia is one of the few African countries to show such steady, marked increase under the African Growth and Opportunity Act (AGOA)," the agency said in a statement. The textile and garments sector accounted for the most exports, increasing to $9.3 million from $4.5 million in 2007. Other sectors that benefitted under AGOA included agricultural products, minerals and metals, the USAID statement said. 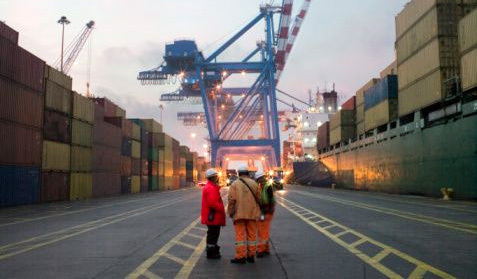 It said total Ethiopian exports to the United States rose 172 percent to $152 million last year from $86 million in 2007.